Kate McCall's husband is killed by her teenage son, Luke, in a tragic bow hunting accident--an incident that sets into motion a series of events, culminating in a dramatic, life and death confrontation with a gang of killers. Included in the gang is Kate's first love - an ex-con who himself is struggling to persuade his former 'colleagues' that he really did lose the heist money. Peter Leonard displays remarkable maturity for a first-time novelist in both the language of his protagonists and plotting the story - the twists and turns of a love affair, an unrequited crush and a kidnapping/extortion plot complement a tightly-drawn, intimate cast of memorably quick and dim-witted characters all set around the Leonard family's home turf of Detroit. 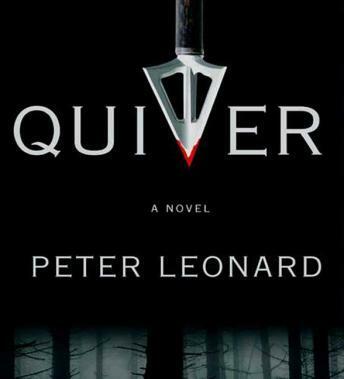 QUIVER marks the entry of a powerful new voice in crime fiction - and a masterful and powerful debut.